Baring any last minutes change of mind, workers in state - owned media organisations are set to down their tools from Tuesday to press home the payment of “two years of monetization arrears “ owned them by the Government. The journalists would include those working with state-owned Nigerian Television Authority (NTA), Federal Radio Corporation of Nigeria (FRCN), the Voice of Nigeria (VON), the external broadcasting station of the country, and allied agencies. A memo from the Radio, TV, Theatre and Arts Workers Union (RATTAWU) to its members said: “At a meeting held with other concerned industrial unions on Tuesday 23 June, 2009, a joint decision was taken that the 100% of the two years monetization arrears must be paid by Government on or before the end of the second quarter of this year as promised by the Federal Government…. Members of the Nigeria Union of Journalists (NUJ) are also part of the group agitating for the payment of the monetization arrears. 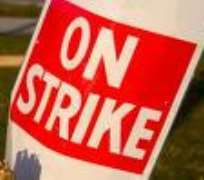 “The strike will go on as scheduled from Tuesday to press our demands. We have given the government every opportunity to discuss and implement all decisions reached, (but) as at today (Monday) they have not complied with our request,” the Chairman of the Lagos State Council of the NUJ, Wahab Oba, told journalists in an in terview. The strike will paralyse the broadcast of news and programmes on both radio and television stations across the country and activities of agencies such as the National Council for Arts and Culture (NCAC), Nigerian Film and Video Censor Board (NFCB) among other parastatals. If the threat is carried out the media workers will be joining the University Teachers Union which embarked on a similar action about three weeks ago to demand greater autonomy for the Universities, proper funding and increase in salaries. The government last week said it had approved the request for greater autonomy, increased the retirement age of teachers from 65 to 70 years and requested more time for the request on increase in salaries. The Government is also calling for restraint and more time to pay up the amount owed the media workers. However, the workers are accusing the government for reneging on its promises.